WARNING: This medication should not be used for weight loss. Normal doses of this medication will not work for weight loss, and large doses of this medication may cause serious, possibly fatal side effects, especially when taken with diet pills. USES: Levothyroxine is used to treat an underactive thyroid (hypothyroidism). It replaces or provides more thyroid hormone, which is normally produced by the thyroid gland. Low thyroid hormone levels can occur naturally or when the thyroid gland is injured by radiation/medications or removed by surgery. Having enough thyroid hormone is important for maintaining normal mental and physical activity. In children, having enough thyroid hormone is important for normal mental and physical development. This medication is also used to treat other types of thyroid disorders (such as certain types of goiters, thyroid cancer). This medication should not be used to treat infertility unless it is caused by low thyroid hormone levels. HOW TO USE: Take this medication by mouth as directed by your doctor, usually once daily on an empty stomach, 30 minutes to 1 hour before breakfast. Take this medication with a full glass of water unless your doctor directs you otherwise. If you are taking the capsule form of this medication, swallow it whole. Do not split, crush, or chew. People who cannot swallow the capsule whole (such as infants or small children) should use the tablet form of the medication. For infants or children who cannot swallow whole tablets, crush the tablet and mix in 1 to 2 teaspoons (5 to 10 milliliters) of water, and give using a spoon or dropper immediately. Do not prepare a supply in advance or mix the tablet in soy infant formula. Consult your pharmacist for more information. Dosage is based on your age, weight, medical condition, laboratory test results, and response to treatment. Use this medication regularly in order to get the most benefit from it. To help you remember, take it at the same time each day. Do not stop taking this medication without first consulting with your doctor. Thyroid replacement treatment is usually taken for life. There are different brands of levothyroxine available. Do not change brands without first consulting your doctor or pharmacist. Certain medications (cholestyramine, colestipol, colesevelam, antacids, sucralfate, simethicone, iron, sodium polystyrene sulfonate, calcium carbonate, orlistat) can decrease the amount of thyroid hormone that is absorbed by your body. If you are taking any of these drugs, separate them from this medication by at least 4 hours. Symptoms of low thyroid hormone levels include tiredness, muscle aches, constipation, dry skin, weight gain, slow heartbeat, or sensitivity to cold. Tell your doctor if your condition worsens or persists after several weeks of taking this medication. SIDE EFFECTS: Hair loss may occur during the first few months of treatment. This effect is usually temporary as your body adjusts to this medication. If this effect persists or worsens, tell your doctor or pharmacist promptly. Remember that your doctor has prescribed this medication because he or she has judged that the benefit to you is greater than the risk of side effects. Many people using this medication do not have serious side effects. Tell your doctor immediately if any of these unlikely but serious effects of high thyroid hormone levels occur: increased sweating, sensitivity to heat, mental/mood changes (such as nervousness, mood swings), tiredness, diarrhea, shaking (tremor), headache, shortness of breath. Get medical help right away if any of these rare but serious effects of high thyroid hormone levels occur: chest pain, fast/pounding/irregular heartbeat, swelling hands/ankles/feet, seizures. A very serious allergic reaction to this drug is rare. However, get medical help right away if you notice any symptoms of a serious allergic reaction, including: rash, itching/swelling (especially of the face/tongue/throat), severe dizziness, trouble breathing. This is not a complete list of possible side effects. If you notice other effects not listed above, contact your doctor or pharmacist. In the US - Call your doctor for medical advice about side effects. You may report side effects to FDA at 1-800-FDA-1088. In Canada - Call your doctor for medical advice about side effects. You may report side effects to Health Canada at 1-866-234-2345. 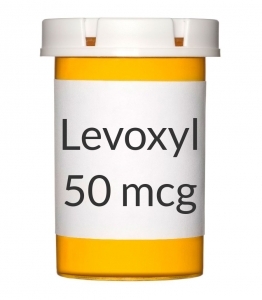 PRECAUTIONS: Before taking levothyroxine, tell your doctor or pharmacist if you are allergic to it; or if you have any other allergies. This product may contain inactive ingredients, which can cause allergic reactions or other problems. Talk to your pharmacist for more details. Before using this medication, tell your doctor or pharmacist your medical history, especially of: increased thyroid hormones (thyrotoxicosis), decreased adrenal gland function, heart disease (such as coronary artery disease, irregular heartbeat), high blood pressure, diabetes. Before having surgery, tell your doctor or dentist about all the products you use (including prescription drugs, nonprescription drugs, and herbal products). Current information shows that this drug may be used during pregnancy. Tell your doctor if you are pregnant because your dose may need to be adjusted. Levothyroxine passes into breast milk but is unlikely to harm a nursing infant. Consult your doctor before breast-feeding. DRUG INTERACTIONS: See also How to Use Section. The effects of some drugs can change if you take other drugs or herbal products at the same time. This can increase your risk for serious side effects or may cause your medications not to work correctly. These drug interactions are possible, but do not always occur. Your doctor or pharmacist can often prevent or manage interactions by changing how you use your medications or by close monitoring. To help your doctor and pharmacist give you the best care, be sure to tell your doctor and pharmacist about all the products you use (including prescription drugs, nonprescription drugs, and herbal products) before starting treatment with this product. While using this product, do not start, stop, or change the dosage of any other medicines you are using without your doctor's approval. Some products that may interact with this drug include: "blood thinners" (such as warfarin), digoxin, estrogen-containing products (including birth control pills), theophylline. This document does not contain all possible drug interactions. Keep a list of all the products you use. Share this list with your doctor and pharmacist to lessen your risk for serious medication problems. OVERDOSE: If overdose is suspected, contact a poison control center or emergency room immediately. US residents can call the US National Poison Hotline at 1-800-222-1222. Canada residents can call a provincial poison control center. Symptoms of overdose may include: fast/pounding/irregular heartbeat, loss of consciousness, confusion, seizures. NOTES: Do not share this medication with others. Laboratory and/or medical tests (such as thyroid function tests) should be performed periodically to monitor your progress or check for side effects. Consult your doctor for more details. MISSED DOSE: If you miss a dose, take it as soon as you remember. If it is near the time of the next dose, skip the missed dose and resume your usual dosing schedule. Do not double the dose to catch up unless your doctor tells you to do so. Call your doctor if you miss 2 or more doses in a row. Ask your doctor ahead of time what to do about a missed dose and follow your doctor's specific directions.